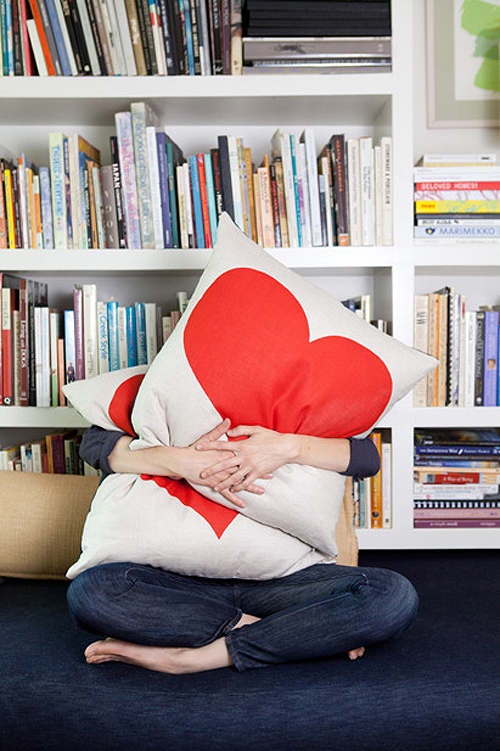 Today I’m loving … these fun heart pillows from Wendy Polish. 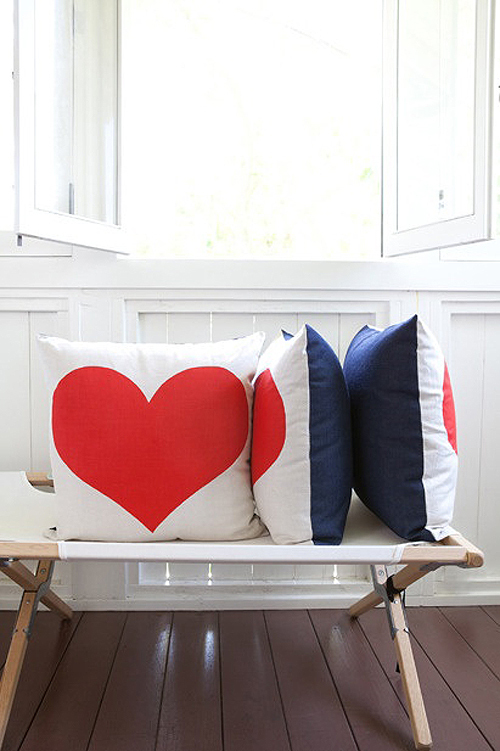 A big red heart is screen printed on organic hemp/cotton, the back of the pillow is made from salvaged denim. Made with love in Los Angeles! The Style Files is a blog about interiors, travel, fashion and lifestyle. I am based in The Netherlands but search the entire globe for inspirational finds. Interested in advertising? Contact us!